Breakfast just got easier. The BLACK+DECKER™ Red 2-Slice Toaster is the perfect way to start your day, with seven timed shade settings and special functions for bagels and frozen items. Plus, the extra-wide toasting slots accommodate bagels and thick cuts of bread, and the extra lift lever puts hot toast safely in reach. Do breakfast better with the BLACK+DECKER™ Red 2-Slice Toaster. Add a delicious crunch to bagels, thick breads, and more. The extra-wide slots accommodate all types of toasted treats. 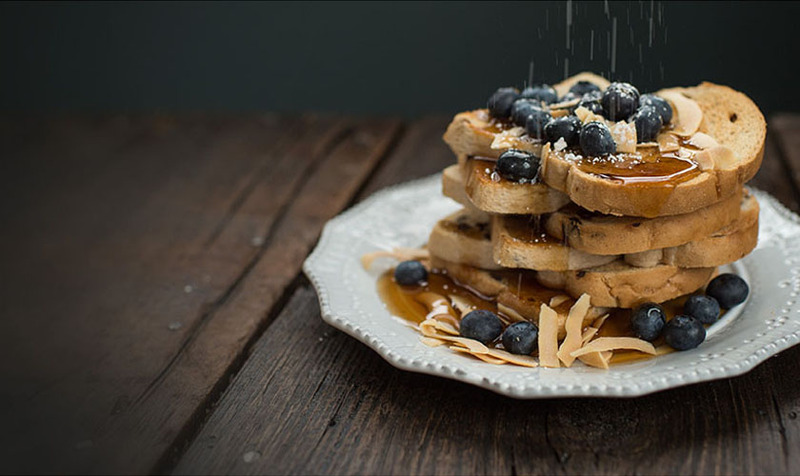 The lever lifts toast so it’s safely in reach. The bold accents add a distinctive look to this toaster. Put the perfect crisp on your morning bagel using the push-button bagel function. Also controls for frozen items and to end toasting. Find the right shade for everyone’s tastes. 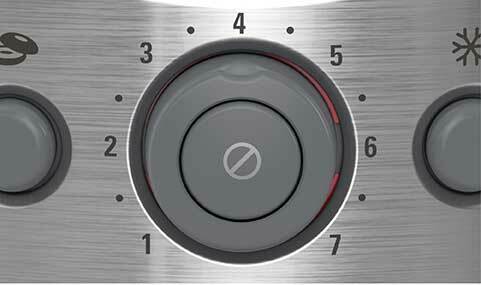 The time selector knob ranges from 1-7. 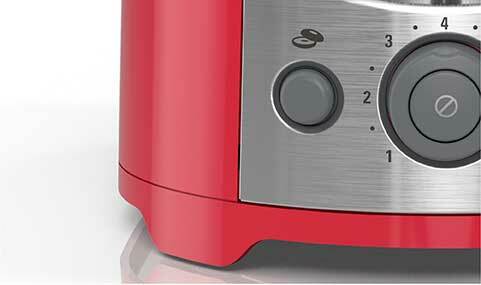 2-Slice Toaster | Red is rated 4.6 out of 5 by 155. Rated 5 out of 5 by iansusie from NIce Toaster! I go this toaster a few months ago and absolutely love it. The vibrant red matches my kitchen and looks fancy. It makes perfect toasts and is easy to use. Rated 5 out of 5 by TracieH from Makea great toast Works perfect. Love the color. The frozen button is a nice feature. Rated 4 out of 5 by Srabs683 from Works like it’s supposed to I’ve been using the toaster for about two months and it’s working great so far. Rated 5 out of 5 by FeliciaNicoleB from Great addition to my kitchen My old toaster was so unreliable. 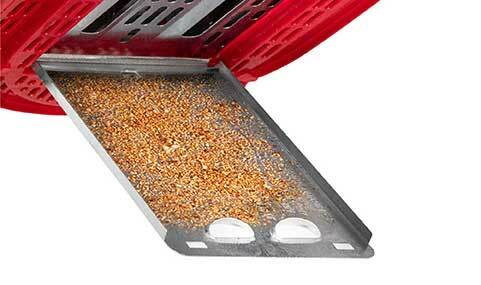 It never toasted consistently and was very hard to clean both the interior and exterior. This product could not have come at a better time for me. The outside is very easy to keep clean and wipe down, even from grease, and it’s easy to get the random crumb particles out of the bottom as well. I feel much more hygienic using this toaster. Plus the red is a nice POP in my neutral kitchen. Rated 3 out of 5 by PaulerBear from Cute Toaster, love the Color! I gave this item a 3 star overall rating only because I am not truly able to evaluate this product fully. The toaster arrived broken during shipping. I love the red color and it is such a cute toaster. It is just a shame that it arrived in pieces literally because I would have loved to have tested this Black and Decker 2 Slice Toaster and given my full overall opinion on its use. Rated 5 out of 5 by rosepetal2416 from Absolutely love this toaster I got this for free to test out and I have to say it is one of the best toasters I have ever gotten. I even put my old new toaster in my lawn sale box. Rated 5 out of 5 by Vulcan from Beautiful color Love this toaster, perfect toast every time. Pretty red color to match the rest of your appliances or to spice up your kitchen. Can even fit baggles and croissants. Rated 4 out of 5 by stacey99960 from Toaster is nice for early mornings. It looks great & much more expensive then the price you actually pay. It matches well in my red kitchen. It toasts quickly & while I don't think the toast settings are as accurate as they should be for the most part you get a nicely toasted bagel or piece of bread. It's smaller in size so you can push it back when you are done with it. Overall a nice toaster!